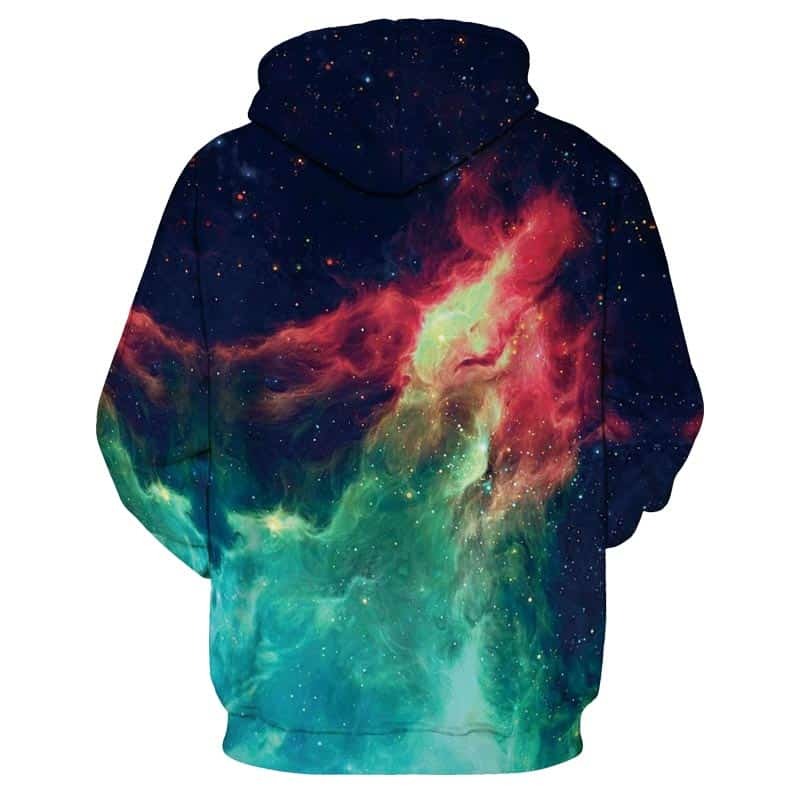 Yet another cool space galaxy hoodie. This Nebula Fire Hoodie got its name from the inferno green and orange that is used on this print. 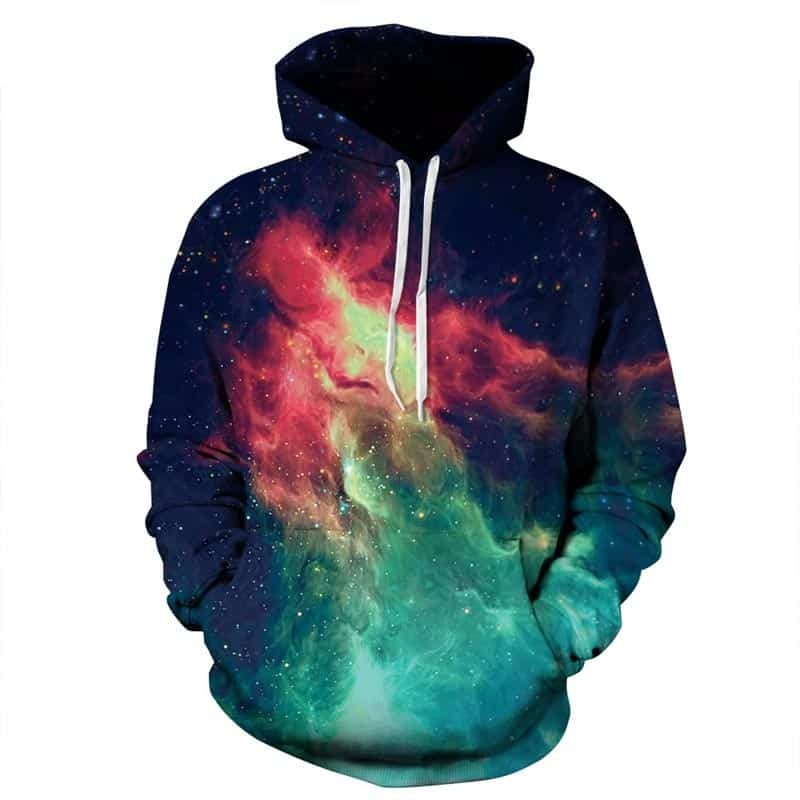 A classic space hoodie, this is a must have for you astronomers. The hoodie is comfortable to wear, looks fashionable and is wearable anywhere. It was designed for both male and female.